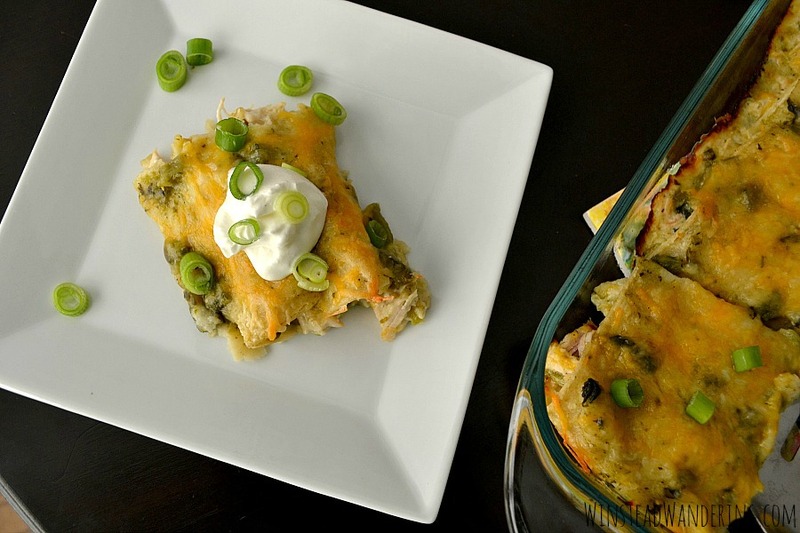 With plenty of chicken, gooey melted cheese, and the best homemade sauce, Green Chile Chicken Enchiladas are a perfect take on a favorite weeknight meal. A whole lot of my favorite dinner recipes include shredded chicken. Actually, I use it so often that I’ll typically prepare a bunch at once by baking it in the oven or cooking it in my Instant Pot. I use generic seasonings, like garlic and onion powder, and I use my KitchenAid mixer to shred the chicken while it’s hot. Then I have cooked chicken to use in Bacon Cheddar Ranch Chicken Roll-Up, Baked Chicken Taquitos, or these Green Chile Chicken Enchiladas. 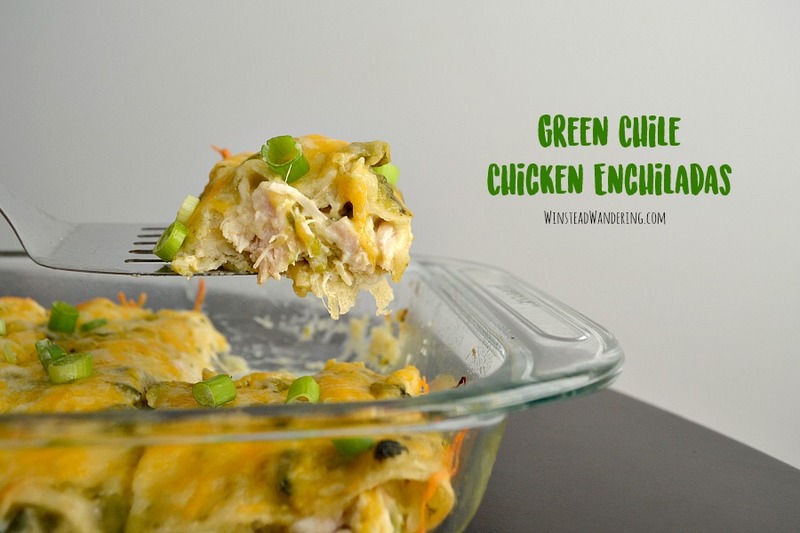 I much prefer green enchiladas to red, and I especially prefer them when made with my Homemade Green Enchilada Sauce. Once the sauce is made, these little guys are super quick to prepare, especially if you’ve made your chicken in advance. It’s a perfect recipe to make earlier in the day and refrigerate until dinnertime. 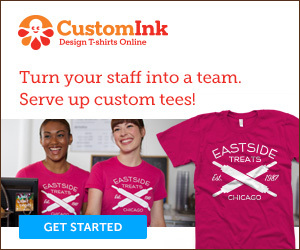 Serve with your favorite sides and you’ve got a meal. 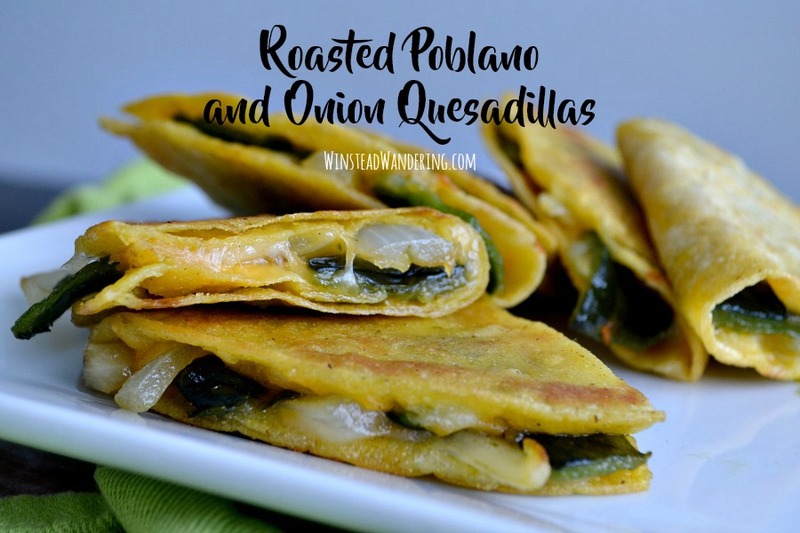 They be simple to make and require only five ingredients, but these Roasted Poblano and Onion Quesadillas are full of mellow vegetables and just the right amount of melted cheese. My local grocery stores don’t always have a large variety of peppers to choose from so, when I saw the crate of poblanos the other day, I grabbed a few without giving any thought to what I’d make with them. I immediately roasted most of the peppers because I knew I’d want them that way for pretty much anything I would make. I ate some in a potatoes-and-eggs breakfast bowl and added a little more to a sandwich. 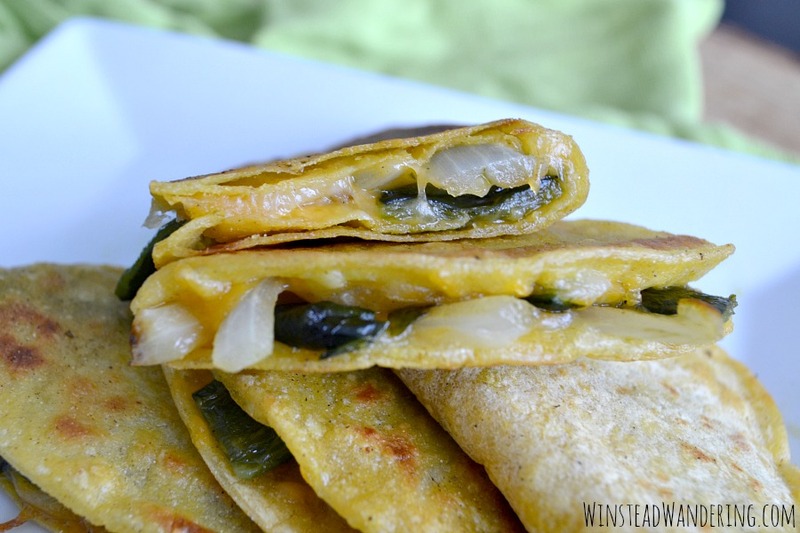 And then I made Roasted Poblano and Onion Quesadillas. The idea wasn’t original, since I make fajita quesadillas all the time. I decided to keep these a little simpler, though, to let the veggies shine. Now I’ve made them three times in the last week. Okay, fine. Four times. 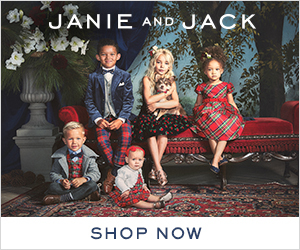 I just.can’t.resist. Poblanos aren’t spicy; sometimes they carry a little heat, but mostly they’re just full of flavor. In addition, onions are probably one of my favorite vegetables. Add in a little cheese, plus the crispiness of the corn tortilla, and I could eat these things all day long.